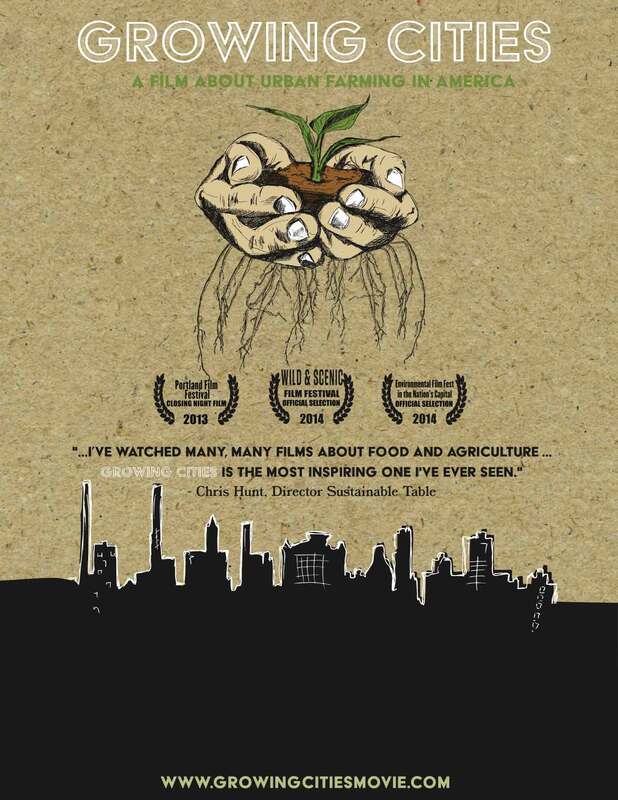 Harvest Time Screening – Oct. 4th! GROWING CITIES. Dirs. Daniel Susman & Andrew Monbouquette. 58min. Documentary. 2013. U.S.A. Growing Cities examines the role of urban farming and asks how much power it has to revitalize our cities and change the way we eat. Dan Susman and Andrew Monbouquette grew up together in Omaha, Nebraska, a city surrounded by our most fertile farmland – that has been making laws against residents growing food in their own backyards. On their cross-country roadtrip, Dan and Andrew meet urban farmers, policy makers, and everyday citizens who are challenging the way this country grows its food, one vacant city lot, rooftop garden and backyard chicken coop at a time. Along the way they learn this grassroots movement takes many forms – from those growing food in their backyards to make ends meet, to educators teaching kids to eat better, to activists seeking a meaningful alternative. GROWING FARMERS. Dir. Michael Halsband. 17min. Documentary. 2012. Long Island, NY. Despite increasing land values in close proximity to some of the most valuable real estate in the world, a new generation of farmers rises on Long Island.